Srinagar, Mar 19 (KNS): Joint Resistance Leadership (JRL) Tuesday called for a complete shutdown on Wednesday against the custodial death of 28-year-old school teacher Rizwan Asad Pandith of Awantipora. JRL as per a statement issued to KNS strongly condemned the ‘custodial killing of 28-year-old school teacher Rizwan Asad Pandith of Awantipora who was picked up by the SOG and NIA a few days ago and has been killed in custody at SOG camp Cargo today’. Paying tributes to Rizwan and expressing deep grief and sorrow at his ‘killing’, JRL expressed sympathy with his bereaved family. “This killing has actually increased the vulnerability of Kashmiri inmates languishing in different jails of India and jails of Jammu Kashmir, and jeopardized their lives,” they said. On Thursday, JRL appealed all segments of society including traders, lawyers, bar association, civil society, and others from different walks of life to peacefully protest against the custodial killing and assaults on Kashmiris. On Friday, March 22nd, 2019, after Friday (Juma) prayers, people at all Masajid, Khanqahs and Imam Baras will raise their voices peacefully against this custodial death by NIA and SOG and continuing policy of ‘oppression’ unleashed by India. 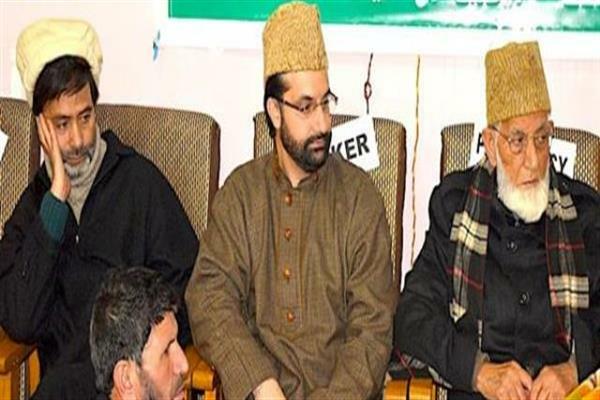 JRL said that those who raise their voice against the killing of youth, their arrests and slapping with PSA are branded as “anti-national “and threatened with dire consequences and intimidation. “While crackdown and arrest spree against political and religious activists and youth continues unabated on the other hand SOG has been calling political activists and youth to SOG cargo camp to intimidate them and create an atmosphere of fear among people in general,” they said.